The Showtec Compact Par 7 Q4 is a RGBW parcan in a compact housing. 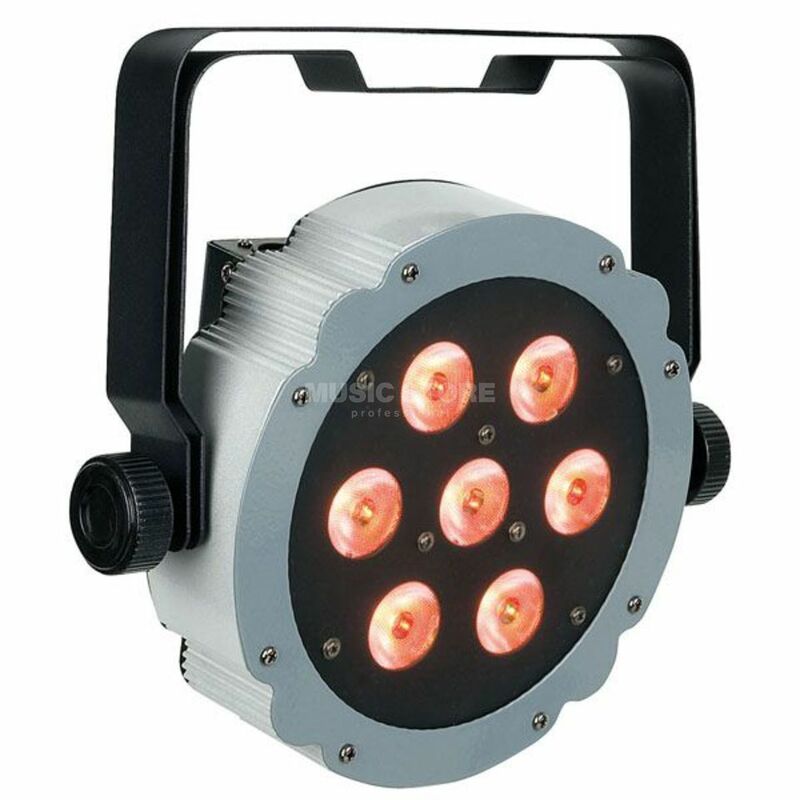 It is the successor of the popular Compact par 7 Tri with 7x 4-in-1 RGBW LEDs. Due to its compact design it saves a lot of space for transportation and also in use. It offers Standalone programs with Master slave possibilities, DMX control and sound to light functions. For small applications the Compact Par 7 4405Tri has a Master Slave modus.